(BLACK AND WHITE VERSION INCLUDED)!!! 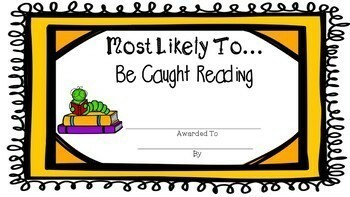 End the school year with these amazing and unique superlative awards! 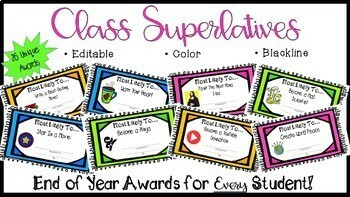 With 25 EDITABLE awards that come in FOUR different colors (and BLACK AND WHITE), there is something for every student in your unique classrooms! To edit, simply insert a text box and adjust your font as needed. 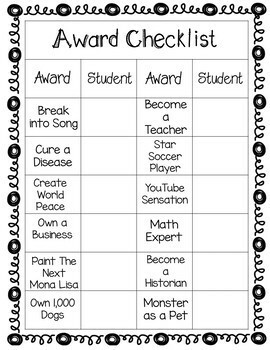 An EDITABLE AWARD CHECKLIST included!! An EDITABLE, general "Certificate of Excellence" Award is also included! ⭐Note - Due to copyright laws the background and wording of the awards cannot be changed.